All neighbours are important. Pakistan is even more, for India shares a long land, maritime and riverine borders. A substantial portion of territory is disputed between the two countries, and is under the control of Pakistan. Though both countries may share the history, since 1947 they are on divergent paths with different political systems and conflicting strategic pursuits. Relationship between the two countries have been on a rollercoaster ride and yet to settle. Given the current trends in internal politics, foreign relations and external interests in India and Pakistan, the relationship is likely to remain volatile. India is growing at a faster pace; if it has to sustain the growth and get counted at the international level and find an acceptable and respectable place at the global table, it is important for New Delhi to take the neighbourhood along- bilaterally and regionally. A negative relation with any neighbour has the potential to pull down India's regional and global aspirations. It is important to study Pakistan as it is, without an ideological bias and political affiliation, and attempt to follow its current trajectories. Such a study should be comprehensive and inclusive covering social, economic, energy, ethnic and political spheres. Pakistan study should also aim at making projections and forecasts. This study should also be nuanced and try to reflect the multiple shades within Pakistan. The canvas is wider and there may be multiple paints and numerous brushes. It is necessary to understand political complications within Pakistan at national and provincial levels, civil-military relations, ethnic complexities, economic constraints and energy calculus. So should be the studies on demographic trends, educational situation, radicalization process and social fabric. From Khunjerab to Gwadar, and from Lollywood to Cricket, there are multiple Pakistans within the same geographic parameters. Equally imperative is the contemporary understanding and forecasts of external linkages of Pakistan especially vis-a-vis Afghanistan, China, US and the Middle East. www.pakistanreader.org is an academic endeavour aimed at the above. PR aims at focussing the following main eight topics in Pakistan (arranged alphabetically): Af-Pak, CPEC, Economy, Energy, External Relations (especially China, US and Middle East), Military, Politics and Society. The objective is to study Pakistan as it is. In 2017, there would be a larger focus on developments within the provinces and sub-regions; to start with, it is planned to have a series of backgrounders relating to Balochistan, FATA and KP, followed by Punjab, Sindh and PoK in 2018. Four sets of publications are planned: Short Comment, Analysis, Brief and Forecast. Besides the above, the PR also will also review Reports, Documents, Books and Journal Essays. Long term objective of the PR is to convert this into a database, and make it an independent and academic go to resource base on Pakistan. Currently, PR is a personal initiative. Hopefully, this initiative attracts young scholars within India to pursue different topics on Pakistan. With adequate funding support, this initiative could transform into an exclusive research Programme on Pakistan. India needs more scholars on Pakistan. Pakistan Reader is dedicated to my mentor Mr PR Chari and my teacher Prof Kalim Bahadur. In JNU, Prof Kalim introduced Pakistan to me; I was fortunate to submit my PhD on Pakistan under his guidance. A humble soul and great human being. 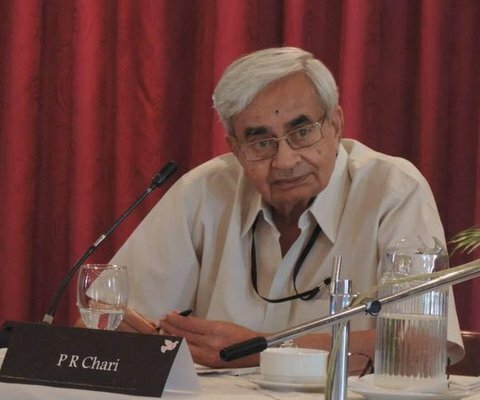 Mr PR Chari was my first boss, but became more than that subsequently. He gave me the space to pursue my research interests at the Institute of Peace and Conflict Studies (IPCS) which became my home during 1998-2014. Though he is not with us physically today, I could always feel his presence, advice, smile, wit, sarcasm and support. He was my God father in Delhi. I miss you Mr Chari. This initiative - Pakistan Reader is my humble tribute to you. You are the reason for what I'm today. You were full of ideas and wanted to invest in so many subjects. From Human Security to Water Conflicts, you introduced many subjects to me as potential research areas. Stay ahead of the curve was your mantra. You sowed the idea of an exclusive but independent South Asia database; PR is an extension of it and purposefully shares the initials with your name. I sincerely wish I do justice to it, and to the faith you had on me. I owe everything to you. I was also fortunate to be taught by Prof SD Muni, Prof Muchkund Dubey and Prof P Sahadevan. Tough task masters yet great teachers. And my teachers at the Department of Political Science in Madras Christian College – moulded my earlier career. Ajay Darshan Behera, Sushant Sareen, Alok Bansal and Gurmeet Kanwal have been great friends in my Pakistan research. Inputs on Pakistan from Amb TCA Rangachari and Mr Rana Banerji have always been valuable; I wish I formally studied Pakistan under them. I'm also equally fortunate to have numerous friends in Pakistan. Those seniors whom I've met in various track-II dialogues and within Pakistan, young (and not so young now!) scholars with whom I've authored few essays, numerous students whom I met in the Universities in Karachi and Islamabad, and a great number of friends from all over Pakistan – you have been fantastic, yet critical of my writings on Pakistan, but continue to remain in touch. Back in New Delhi, at the IPCS, which I was fortunate to head during 2012-15, I had the opportunity to interact with great minds. Maj Gen Dipankar Banerjee, Amb Salman Haidar, Prof Varun Sahni, Prof Amitabh Mattoo, Amb Ranjit Gupta, Mrs Chandra Chari, Mr DR Kaarthikeyan, Mr PP Srivastava, Mr Dhirendra Singh, ACM Vinod Patney, Amb Arundhati Ghose, Dr Meenakshi Gopinath, Dr SS Bloeria, Dr Ashok Bhan, Lt Gen Patankar, Cmde Uday Bhaskar, Dr C Rajamohan, Amb Rajiv Bhatia, Amb Leela Ponnappa, Mr Pankaj Madan, Mr Tomislav Delinic and numerous other seniors helped me and the IPCS grow. I'm indebted to every one of them. Within the IPCS, I worked with an enthusiastic and colourful group – who made the IPCS journey memorable. Mr Vermani, Prashanta, Vijay, Prasenjit, Swapna, Surendar and Mr Sharma – I owe you a lot. IPCS will always remain close to my heart; from Dr. Shankar Aiyar and Arpit Rajain my first colleagues to the last interns I worked – IPCS was absolute fun and a great institution. I miss you IPCS. I sincerely wish you grow further and expand under the new leadership. And how can I ever thank my friends who were a great source of support during the last two decades? Prof Mallika Joseph, Prof Sanjay Bhardwaj, Prof Kavita Suri, Mr SDS Jamwal, Dr N Manoharan, Dr Bibhu Prasad Routray, Dr Wasbir Hussain, Dr Vijay Sakhuja, Dr Sushil Aaron and Prof Shankari Sundararaman – thanks for being there and supporting me and the IPCS. Besides your personal affection and time, you also brought domain expertise into various activities of the IPCS. The Institute could not have achieved much without your time and support. And finally to my new home in Bangalore – NIAS, especially Prof Rajaram Nagappa and Prof Baldev Raj – thank you for your warm welcome and the kind space you have given me here. Hope I do justice and assist the ISSSP and NIAS in my own little ways. And to Dr Gopi Rethinaraj, Dr Mayilvaganan and Prof Sindhu Radhakrishna – thank you for your warmth. 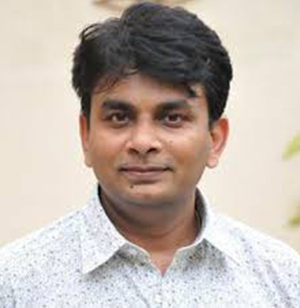 Prof D. Suba Chandran is currently with the International Strategic & Security Studies Porgramme (ISSSP) National Institute of Advanced Studies (NIAS), Bangalore. His primary focus areas are Pakistan, Afghanistan, Armed Conflicts and Peace Processes in South Asia. He edits an annual titled Armed Conflicts in South Asia, published by the Routledge/SAGE. He is an Associate at the Pakistan Study Research Unit (PSRU), University of Durham, UK. Earlier, he was a Visiting Professor at the Pakistan Studies Programme, Jamia Millia Islamia, New Delh and a Visiting Fellow at the following places: Department of Peace Studies, University of Bradford, UK; ACDIS, University of Urbana-Champaign; and the University of Jammu, J&K. Hizbul Mujahideen ban goes global, but will it reach the Valley? While Imran Khan is jubilant, other opposition political parties are guarded in their response. A section within Pakistan feels that this judgement – disqualifying a sitting Prime Minister (though some talk in terms of a “judicial coup”) as a new great beginning for the judiciary and accountability for Pakistan; this section also expects the Supreme Court to continue and expand further. And the elephant in the room- the military has been quiet. What next? What would be individual Endgames for these actors? And where would these individual Endgames collectively take Pakistan into? Can social codes, such as the Kashmiriyat, which has formed the essence and fabric of a population in a geographic space for many generations and hundreds of years - come to an end with few militant attacks, and developments in two decades? Are we too cynical, and look at issues from a narrow and contemporary perspective, without understanding the strengths of our society? Or, should we take a bird’s view of developments, and look at what is happening within a particular geographic space (in this context – J&K) in relation with the neighbouring regions? What if, there is a larger pattern, which one has to take into account while trying to find answers to questions in an immediate environment? The recent demands from Saudi Arabia-led group within the Gulf Cooperation Council (GCC) against Qatar, are not aimed at resolving the current crisis. Though Qatar has already called them not reasonable, how sensible are these 13 demands? What do Saudi Arabia and its coalition want to achieve by presenting an unachievable and humiliating set of demands? There are new developments in the region within and around Afghanistan that calls for a fresh initiative, with Kabul as the pivot. Instead of expecting or accusing Trump for not doing enough, the region will have to look inwards, take ownership and prepare a road map. There is enough power in the ongoing Asian led projects to fire the Afghan engine. Last week, Pakistan’s Prime Minister Nawaz Sharif appeared in front of the Joint Investigation Team (JIT), constituted as a part of the Supreme Court’s verdict on Panama scandal. But this process has become a controversy, with the JIT accusing institutions for tampering with information and the Sharif family blaming the JIT of harassment and politicization. With the process becoming politicized now, what will happen when JIT submits its report? What next for Nawaz Sharif? D Suba Chandran, "The Raddul Fasaad Fallouts: Will it succeed where Zarb-e-Azb failed? ", NIAS Strategic Forecast No. 13, March 2017. D Suba Chandran, "Military Courts in Pakistan: Will they return? What are the implications? ", NIAS Strategic Forecast No. 12, January 2017. D Suba Chandran, "LoC, J&K and New Delhi:New Pak COAS & Likely Challenges for India", NIAS Strategic Forecast No. 11, December 2016. D Suba Chandran, "Pakistan’s New Army Chief: The Sharif Balance Sheet & the Bajwa Forecast", NIAS Strategic Forecast No. 10, November 2016.